Date: 27.02.2018 | House, Electro, Club | Tags: Big Room Soldiers, Freaky Culture, Markus Binapfl, Pumpkin Air, Digital Bounze, Lndr, Fredb, Bad Nelson | Download Big Room Soldiers Vol. 1 (2018) for free. With high chart entries at all relevant national and international dance charts and featured on numerous nominated compilations in the past, his debut single Trump The Bass was a complete success. Accordingly Ronnsn trumped also with many highly coveted bootlegs and established thus its name in the international club scene. After the first strike of Progressive Berlin with Twilight and a massive remixe for Jean Elan Vs William Naraine I Dont Care it's time for the next Progressive Berlin club bomb! Rock This Club is the perfect mixture of progressive sound and smashing electro beats. John Amaro is back on Elektrify with two progressive house tracks. 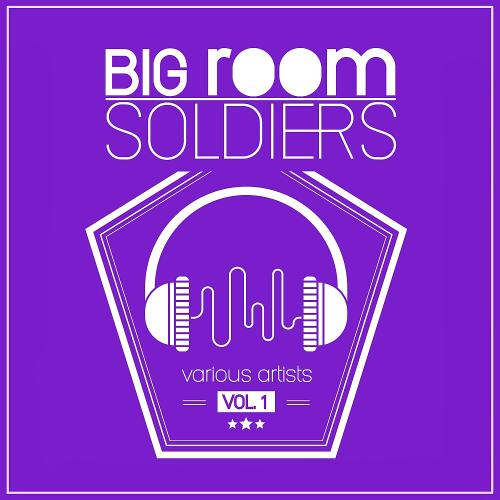 Big Room Soldiers includes 25 monster tunes, from artists like Joachim Garraud, John Amaro, Dario Rodriguez, Deviz Bang and more.